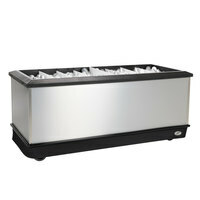 Choice 65 Qt. 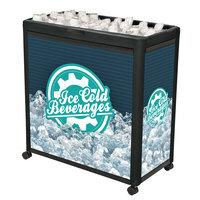 Black Beverage Cooler Cart - 31 1/8" x 15 3/8" x 32 11/16"
IRP Black Texas Tanker 1060 Portable Insulated Ice Bin / Beverage Cooler / Merchandiser with Two Compartments 256 Qt. IRP Black Texas Icer Jr. 2020 Insulated Ice Bin / Merchandiser with Shelf and Drain 36" x 24" 88 Qt. 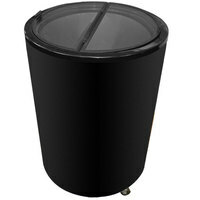 IRP Black Texas Icer 710 Insulated Ice Bin / Merchandiser with Shelf and Drain 48" x 24" 140 Qt. 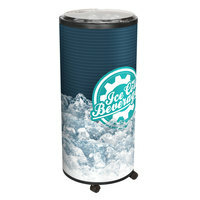 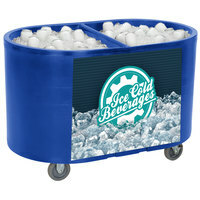 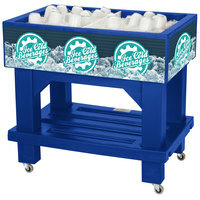 IRP Blue Texas Icer 710 Insulated Ice Bin / Merchandiser with Shelf and Drain 48" x 24" 140 Qt. 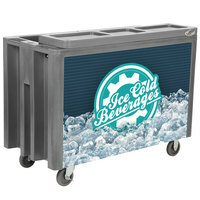 IRP Gray Texas Icer 710 Insulated Ice Bin / Merchandiser with Shelf and Drain 48" x 24" 140 Qt. 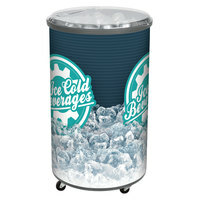 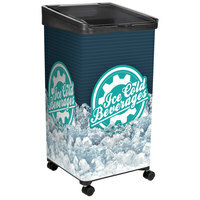 plus IRP Blue Texas Icer Jr. 2020 Insulated Ice Bin / Merchandiser with Shelf and Drain 36" x 24" 88 Qt. 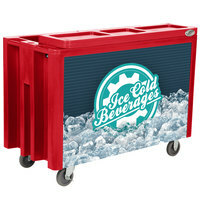 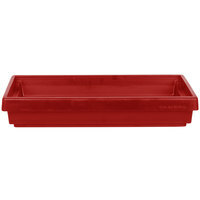 IRP Red Texas Icer 710 Insulated Ice Bin / Merchandiser with Shelf and Drain 48" x 24" 140 Qt. IRP Black 280 Qt. 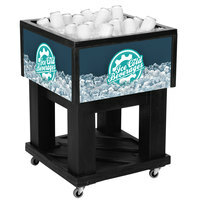 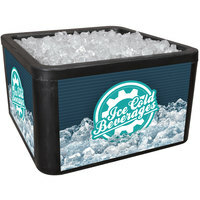 Ice Island with Dividers - 80" x 35" x 36"
IRP Black Mini Texas Icer 5015 Insulated Ice Bin / Merchandiser 32 Qt. 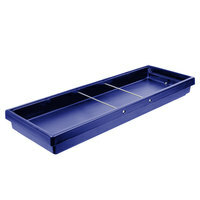 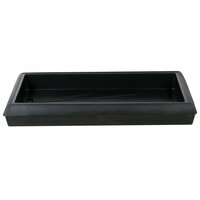 with Dividers and Drain 23 1/4" x 23 1/4"
plus IRP 32 Qt. 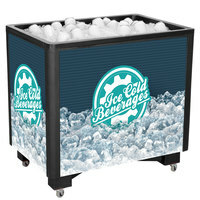 Black Micro Mobile Merchandiser / Cooler - 16" x 16" x 32"
IRP Blue Texas Tanker 1060 Portable Insulated Ice Bin / Beverage Cooler / Merchandiser with Two Compartments 256 Qt. 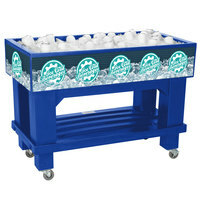 IRP 280 Qt. 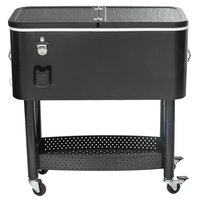 Black Merchandiser / Cooler Push Cart - 53" x 30" x 39"
IRP 88 Qt. 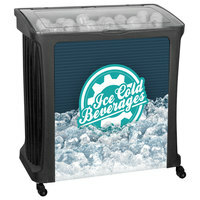 Black Avalanche Platinum Mobile Merchandiser / Cooler - 30" x 18" x 32"
plus IRP 88 Qt. Black Avalanche Platinum Mobile Merchandiser / Cooler with LED Light - 30" x 18" x 32"
Serve your guests chilled drinks with the help of a beer trough. 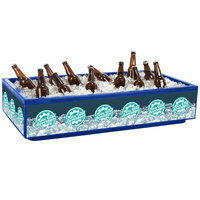 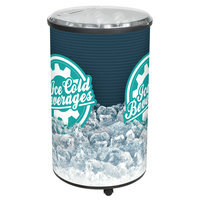 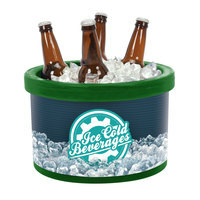 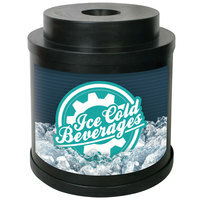 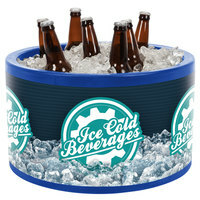 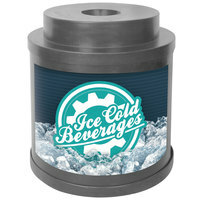 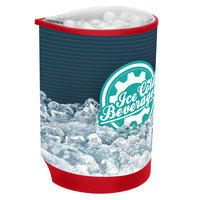 These products are designed to hold large amounts of ice that will keep your drinks nice and cold. 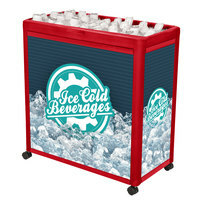 We also carry products in a variety of sizes and shapes, so whether you’re running a bar, catered event, concession stand, or restaurant, we have the beer trough that will fit your business. 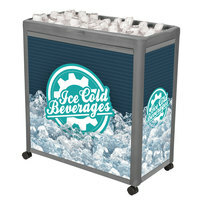 We offer ice bin merchandisers and coolers, which are great for impulse sales at amusement parks, sporting events, and cafeterias. 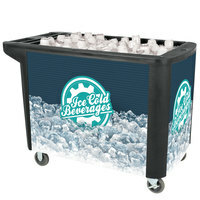 Beverage tubs and ice bins provide your bartenders with an accessible option for beer and other cold beverages, and many of them even fit under your counters for space-efficient storage.